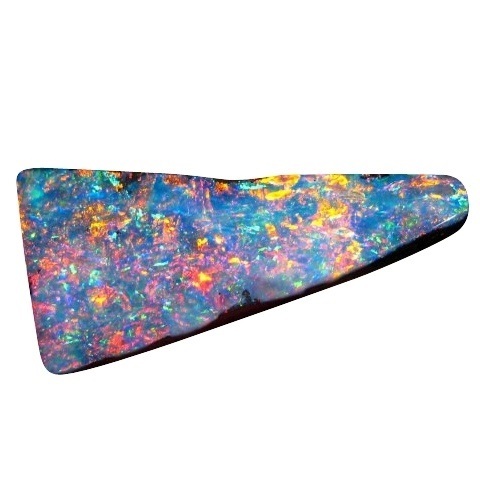 An impressive Boulder Opal that is big in size flashing extremely bright colors in a lively pattern and is ready to set in jewelry or to add to your collection. 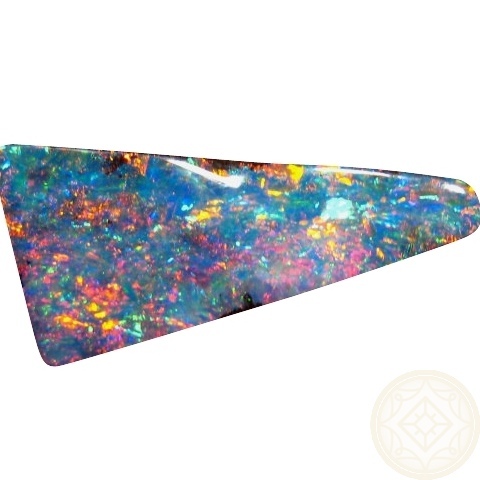 This very large gem Opal from Winton, Australia, is cut to a free form triangle shape and has exceptionally bright colors of Red, Blue and Gold. 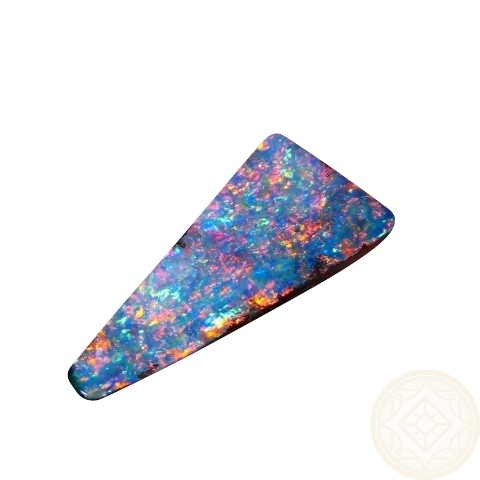 The stone has an undulating face which is typical of Boulder Opal, but it has a flat natural ironstone base making it ready to set in Custom Designed Jewelry and would be impressive as a pendant, necklace or bracelet. 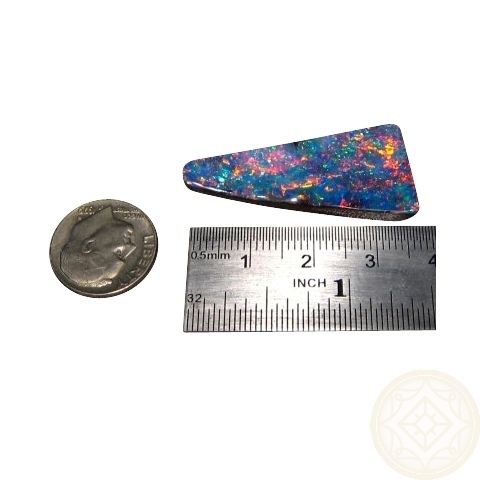 Weighing in at over 25 carats, the Opal measures almost 1 ½ inches long and almost ¾ inch across at the widest point. 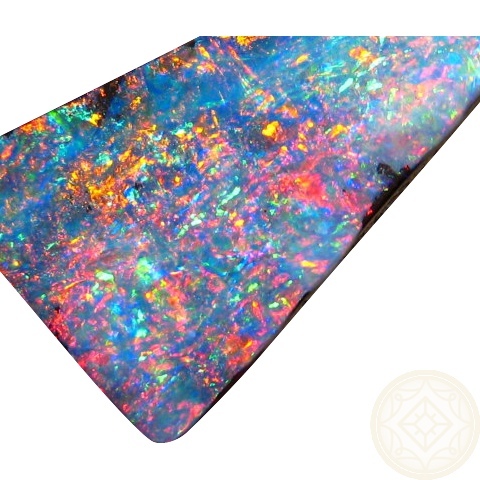 With the combined characteristics of big size, off the chart brightness and lively play of color - it is sure to be noticed and admired from afar. 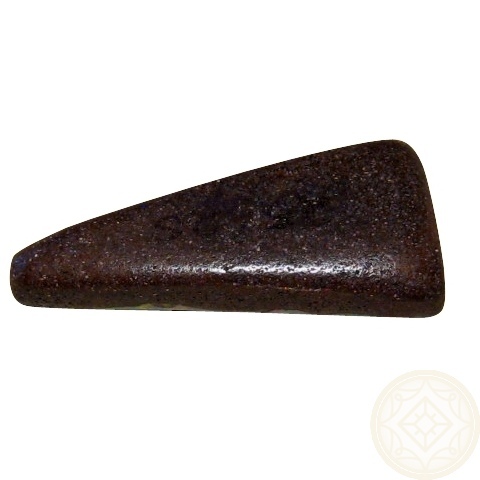 If you would like this stone crafted into a simple or extravagant piece of jewelry, contact through this product page for assistance and no obligation price quote. 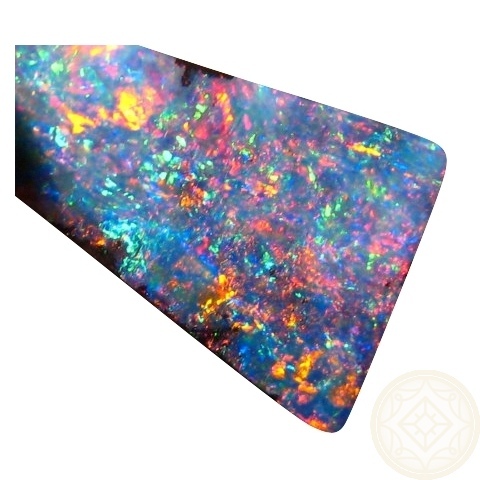 This Boulder Opal is one of many we have been commissioned to sell by a retired miner, and as this is in his vault, allow at least two days for shipping.